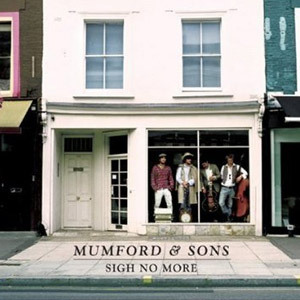 Mumford & Sons‘ debut, Sigh No More, is definitely folk without the ‘hey nonny noo’ or day trips to Bangor. No Mulligan and O’Hare here, with Marcus Mumford’s voice as the central consistent point the album is able to sway from celtic to busker to gospel to bluegrass and various points in-between without sounding like you had just picked up a folk compilation by mistake. Looks like crossover folk is here to stay, and hurray for that.